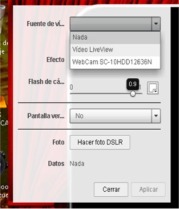 it does not allow me to select the nikon camera, as a video source. Mark, what camera are you using? Remove the standard nikon program from your computer. Chances are your pc is getting confused. I had the same issue with my Canon. Removing the stock app fixed this issue.